You’ll love how our made-to-measure curtains will look at your bedroom window. Blackout linings are available too, to help you get a great night’s sleep. Create a bedroom scheme that makes you crave to be indoors, with our latest collaboration with House Beautiful. Snug velvets and soft whimsical patterns make the collection perfect for the bedroom. Here, we explore how to enjoy a good night’s rest all year round. Bedrooms and curtains just go – the fully-lined fabrics help create a luxurious environment that’s perfect for relaxing. And whether you favour striking brights, beautiful plains or a stylish pattern, there’s plenty in our range to please. Of course, as we spend most of the time in our bedrooms asleep, it makes sense you’ll want to control the light too. So it’s good to know all our fabrics are available with blackout linings to help settle even the most sensitive of sleepers. 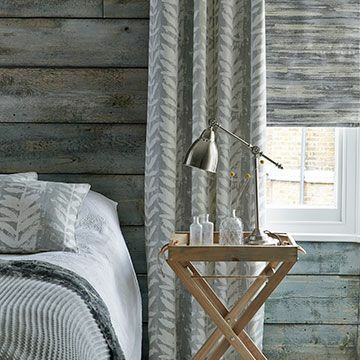 If you love having plenty of stylish fabrics to choose from, you’ll love our bedroom curtains. And a Hillarys appointment gives you the chance to browse them all in the comfort of your own home. 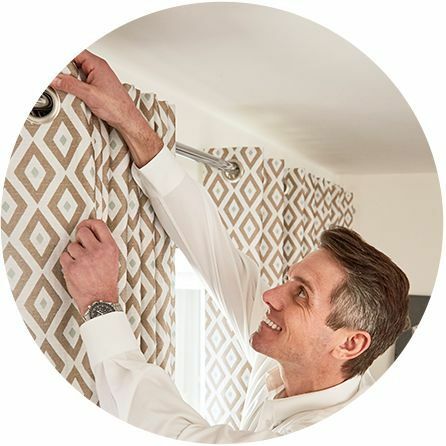 Your Hillarys advisor will give you all the advice you need, and you’ll be able to see exactly how your favourite fabrics will look against the rest of your décor. After measuring up your advisor will be able to leave you a quote to consider. Which means you’re just a few steps away from beautiful new curtains. We take care of everything. 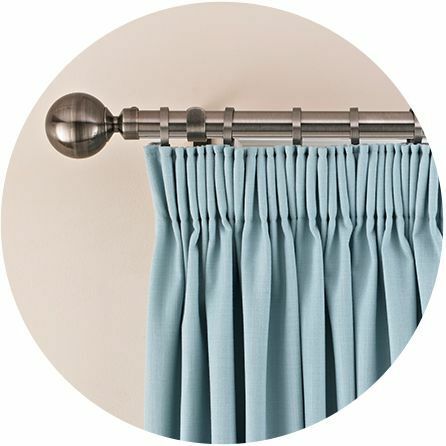 Our service includes everything from curtain headings, to poles, accessories and even fitting. Trust us to help you create your perfect bedroom.